The Dewees home in Ringoes NJ had an outdated Oneida oil furnace that had exceeded its expected lifespan. It was unable to provide a comfortable level of heat during the winter. One room would feel hot and another room would feel cold. Also, as a heating system ages, its efficiency decreases. Recently, the Dewees noticed that their energy bills were steadily increasing. They called Skylands Energy Service for help. We dispatched one of our experienced technicians, George Lauck, to their home. He inspected their unit and determined that it was an older model that would not last much longer. It’s performance would only further deteriorate and their energy bills would continue to increase. George recommended an oil furnace replacement for their Ringoes, New Jersey home. Problem: The Dewees family of Ringoes NJ had an old Oneida oil furnace that was performing poorly. Solution: Skylands Energy Service removed their furnace and replaced it with a Thermo Pride OH6 Premiere Series oil furnace. Investing in a new heating system is an important decision for any homeowner. You want to invest in a system that performs well and offers a high level of comfort. Also, you want a system that is energy efficient and will last. One of the most prestigious manufacturers in the HVAC industry is Thermo Pride. Any homeowner that invests in one of these units can feel confident that it is money well spent. Thermo Pride furnaces are reliable, energy efficient, and affordable. It is a unit that is economically priced and comes with a high return. Therefore, Skylands Energy Services highly recommends these units to their customers. Although there are no set time frames, you need to consider certain factors that when you are deciding whether to keep the furnace that you currently have or upgrade to a new, more efficient one. Check out the following situations to help you determine whether to replace your heater or repair the system. It is always a tough decision to decide whether to replace or repair your furnace, no matter what time of year it is. Each situation is unique, and it is never an easy decision to make. If any system in your home has the potential to expose your family and yourself to carbon monoxide, then it needs to be replaced right away instead of just being repaired. A furnace that has a cracked combustion chamber will allow carbon monoxide to get into your Ringoes house and will require a replacement immediately. If you do notice any of the above symptoms, you should immediately evacuate your house, contact the fire department, inform the utility company that your gas needs to be turned off. You will need to get medical assistance as soon as possible. You then need to call a heating professional, like Skylands Energy Service, to replace your furnace. Unfortunately, even the best heating systems reach the end of their useful lives at some point. The U.S. Department of Energy states that a furnace should last for 15 to 30 years before it needs a replacement. This will, of course, vary depending on the quality of the furnace, brand, and other factors. However, usually, an older heater will start to show more wear that leads to more expensive and frequent repairs over this period. Rather than continually monitoring and repairing your old system, it might be more economical to have a new, more efficient furnace installed. Replace: Any system that is more than 15 years old will be prone to expensive and frequent repairs and will require a replacement. Repair: If your system is under 15 years old, generally it is best to get it serviced instead of installing a brand new one. When you compare the cost of a replacement versus repair, as a general rule, experts recommend that you should replace your furnace when the value of the repairs are more than 50% of the cost to replace it with a new one. However, for an old heating system that is past 75% of its life expectancy, it is best to consider buying a new furnace after repair costs have exceeded one-third of the cost to buy a replacement. Generally, a new furnace will cost from $2,000 up to $6,500 depending on its efficiency level and what type it is. Final replacement costs will vary depending on warranty, brand, location, and other features as well. Just like gas prices, heating prices will fluctuate from one year to the next based on changes in supply and demand as well as weather pattern. Although these factors can explain some changes to your heating bill, if you see any unusual spikes from one month to the next, that could indicate there is a problem. Compare your most recent heating bills with ones from prior years. If there is a big difference in your most recent heating statement, then your furnace might be consuming excessive amounts of energy. If you use your system as economically as possible and cannot determine the reason for the increase, contact a heating professional to service your system. As a heating system continues to age, its internal parts start to wear down and cause the system to run inefficiently. Those pieces being to feel and struggle to meet the heating needs of your home and perform all of the same functions at the same level that it used to do easily. The increased strain placed on the system to keep up with your Ringoes home’s demands can cause the furnace to start using more energy and this will show up on your heating bills. Are some of the rooms in your home warmer than others? Are you always going back and forth to adjust your thermostat to keep comfortable in a particular part of your house? Does the indoor air feel humid or muggy? If so, those can be signs that your furnace is starting to lose some of its effectiveness. If your furnace is feeling less powerful this winter than it did in prior years – even though your household routines and the temperatures are similar then your system may be starting to lose power, or the duct system might be outdated and is struggling to distribute heat throughout your house evenly. If after two heating seasons the system continues to grow worse without any apparent cause, it is time to have some maintenance done. Repair: If your system is newer than 15 years old, and repair costs are less than 50% of what it would cost to replace it, then repair the problems that are causing your system to lose efficiency. Replace: If the furnace is coming to the near of its expected lifespan, repairs might temporarily fix an issue that over time will continue to get worse. You should strongly consider replacing an older ineffective system. Similar to an old car, it gets to the point when an old furnace it’s worth fixing if the maintenance is excessive. If you have had your system for more than 15 years and it only had to be repaired a few times but now you having to call a heating professional every couple of months, that is an indication that your furnace isn’t worth doing upkeep on. You also might need to consider buying a new heating system if your repair costs continue to increase with each new repair that is done. After a furnace has reached or exceeded its life expectancy you can expect that future maintenance will be more frequent and severe. This can be quite expensive for your budget. It usually is more cost effective to have a new system installed instead of trying to patch together a current broken one. However, if there are serious or frequent breakdowns in a furnace that is newer and still within its life expectancy, that might mean that a problem is being mistreated or misdiagnosed. If your system is newer and has needed to have several repairs over the past few years, consider calling a different heating expert, such as Skylands Energy Service, to provide you with another option on what the root cause of the problem is. Most furnaces make a noise when they are operating. However, if your system is making odd noises that are continuing to get louder, that may be a warning sign that you need to replace your furnace. Pay close attention to the kind of noise that you hear – including humming, popping, screeching or rattling – and also where the sounds are coming from so you can tell your repair expert. Noises can be the result of different issues including motor failure, unsecured ductwork, deteriorating parts, or an unbalanced motor. Problems all range in severity so that some repairs are more critical than others. Home buyers are always looking for the best investment possible when considering all of the options that are available to them. Frequently they will base their decisions on the number and positive features that a home has. A furnace is the most common type of spacing heating that is used in the U.S., which means that having an efficient, functioning heater is a critically important asset. The value of your home will probably not increase if you replace the furnace. However, it can still be critical in selling your home successfully. An outdated heating system that is at the end of its expected lifespan will probably need to be replaced as part of the inspection process. Failing to replace an old system might cause buyers to request a reduction in the selling price at best, and at worst, it could prevent potential buyers from making offers on your house. If the performance of your furnace has been poor lately and you are planning on selling your house in the next few years, then a new system may be a good investment for you and also prospective buyers. You will have the benefits of a more highly efficient heating system as well as lower heating bills over the short term in those couple of years that you live in your home. Then when you sell your house, prospective buyers will be attracted by a recent furnace installation, since they can be assured that they will not to replace the system for many years. If can be a sound investment to buy a new furnace if you are nearing retirement. When your old heating system is replaced as you are getting ready to retire, you can enjoy the cost savings, efficiency, and comfort of a new furnace for many years without needing to worry about the system failing, and you might not ever have to replace the system again. An efficient system will not only make your home more comfortable but as you age having a well-functioning source of heat becomes essential. The National Institute on Aging, reports that older adults might suffer from hypothermia symptoms from just being inside of a cold house. It is best to avoid elderly family members being subjected to conditions that could endanger their safety and health and have a new furnace installed to keep the home warm and at maximum efficiency. It is a significant investment to have a high-efficiency furnace installed, but it could be well worth the cost. Having a high-efficiency system installed can help make you eligible to receive local and state tax credits. Some local utility companies offer incentives also for purchasing high-efficiency furnaces. You can enjoy a one-time rebate and also benefit every month from saving money on your heating bills, and that can help to offset initial installment costs. If you are looking for an experienced and reputable HVAC company, give Skylands Energy Service a call. Our company provides a broad range of various heating system services to keep your system running efficiently and correctly at all times. No one wants to have to deal continuously with heating issues and higher energy bills that go along with these problems. Your family and home need to have a healthy and efficient heating system that will last for many years. 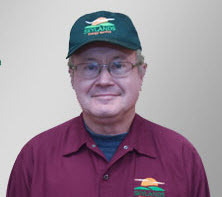 Skylands Energy Service can help you with high-quality, expert installations, maintenance, repairs, and replacements. If you are experiencing issues with your HVAC system, or need to have a new one installed, give Skylands Energy a call today. We will provide you with a free, in-home estimate on necessary services. You always can rely on us to provide you with affordable and high-quality services. Call us today!